Are you still looking for a costume for your little one? If so, you’re in luck. Come and learn how to make costumes out of everyday materials! 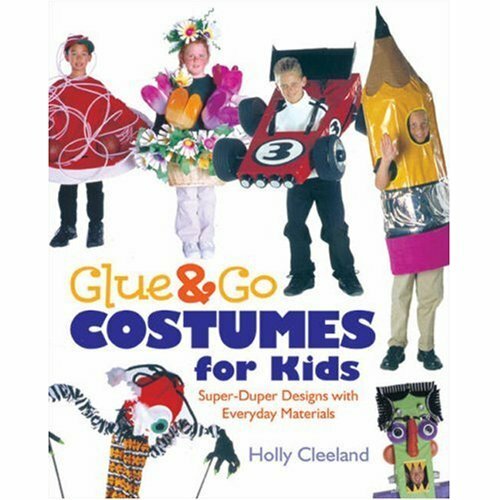 Join in on a fun afternoon at the Dan Point Library with Holly Cleeland, upcycler extraordinaire and writer of Glue & Go Costumes for Kids. Holly has been featured on the Rachel Ray Show, The View, KTLA5, and many more. Three costumes will be given away! They will be meeting in the Community Room. No pre-registration required. and walk-ins are welcome! With readily available supplies and basic tools such as scissors and a glue gun, you can create unique, oversize, eye-catching costumes. You won’t believe how simple it is to transform a kid into corn on the cob, a cupcake, pencil, racecar, monster, basket of flowers, birdhouse, hot air balloon, plate of bacon and eggs, or other unforgettable disguise. When: Thursday, October 23, 2014 from 4:oo – 6:00 p.m.